Gemini, the third sign of the zodiac is symbolized by the twins. This very symbol tells us that those born between the 21st of May and the 20th of June, governed by the sign of Gemini, have dual natures. In this article we will look at the Gemini eminent personalities and the positive and negative Gemini personality traits. The sign of Gemini is influenced by the air sign. And, as to be expected of those signs governed by the air, Geminis are intellectual people as well. 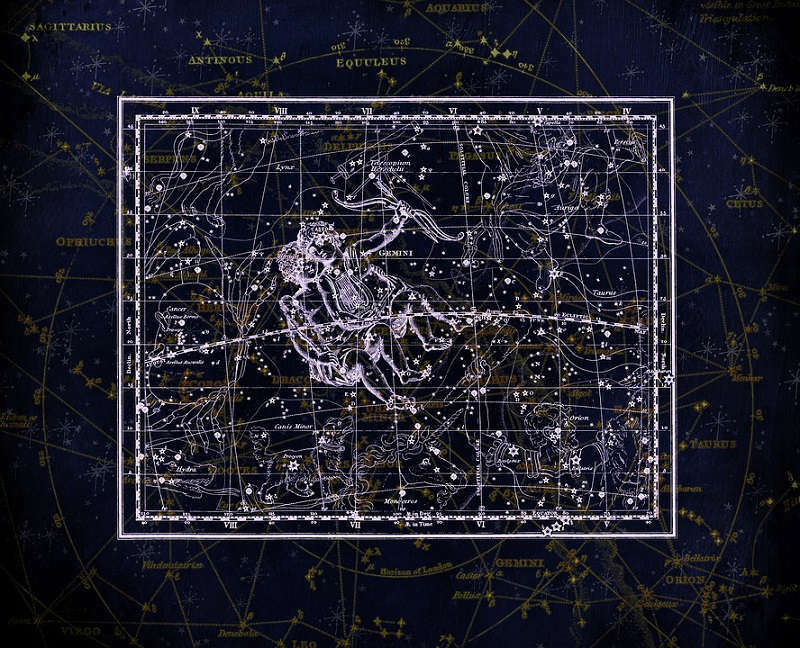 If there is anything that puzzles them, Geminis would not waste time into analyzing and probing it. And mind you, they will enjoy it. The Geminis, being symbolized by the twins and influenced by the air,can easily come across to you as an easy summer breeze or a howling wind. Another Gemini personality trait that relies heavily on the influence of the air sign is their constant want to communicate. Geminis are very chatty and will not hold back in starting a conversation, even with those whom they consider their acquaintance. This Gemini personality trait is augmented because this sign is also governed by the planet Mercury – the planet of thinking and communication. Being symbolized by the twins, there are times you’d find a Gemini seemingly looking for someone to be with – a new friend or a member of the family. They will highly appreciate people who find spending time with them entertaining by killing the time chatting or by simply being idle. This is because Geminis have this feeling that their twin seems to be missing. If you are into a Gemini man romantically, find the clear signs a Gemini man likes you. They are also fun-loving and will not give up the opportunity to get to enjoy it with many people. Geminis are sociable creatures and will not let a day go by if it’s dull. They are also very open-minded and can easily change their minds if they think it is needed. 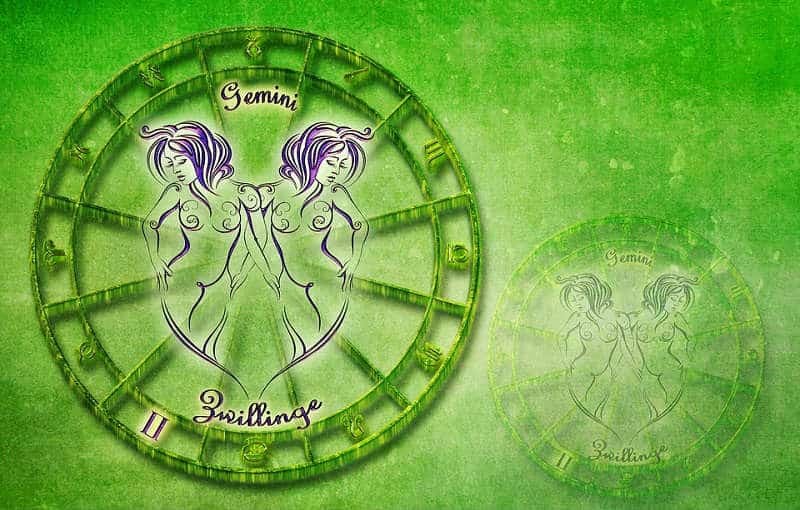 Below are some personality traits that are easily evident to those born under the sign of Gemini. Geminis just seem to have the right amount of energy for almost everything. This is true especially for the things that pique their interest. As long as the Gemini finds an activity or a goal very interesting, you can be sure to find them happily working on it. They will get tired, but it will never hinder them from completing the work or activity. A tired Gemini will simply take a regular rest and then keep going. This is not perseverance kicking in, but their enthusiasm. The Gemini enthusiasm is very powerful. This Gemini personality trait makes them amazing when it comes to responsibilities and tasks. If you think the task or responsibilities are too much to handle, wait until you see how a Gemini does it. It does not matter how much work is at hand, as long as it is interesting for the Gemini, consider it done. The Gemini personality trait that helps them a great deal through life is their being adaptable. 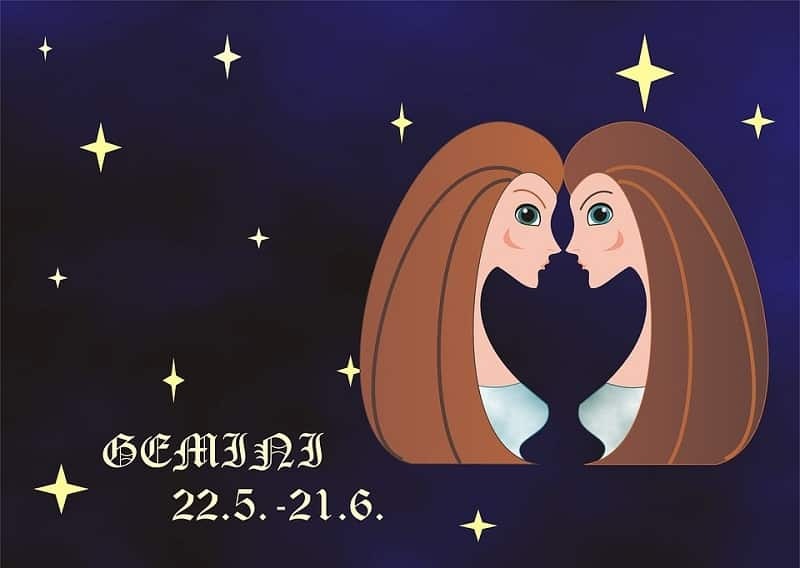 While some other signs might hate changes and things that can potentially disrupt their routines, the Gemini is willing enough to give this something new a shot. Geminis have this certain way of understanding changes that make them willing enough to face it every time. They allow themselves to find a way to make themselves fit in the situation for the time being and resume their lives from there. Adjusting is very natural for Geminis that if you try to look at how they live their lives, it will seem amazing how they do it. They are able to pull off adjustment each and every time as if it is something they do every day. Also, Geminis do not only manage to adapt to things that are easy to deal with. If a Gemini thinks it is a must that they adapt, if it means having to rebuild an entire side of their life to make it work with this adjustment, they will do it without even flinching. We all know that Geminis love to talk and with so much expression, too. When a Gemini talks, expect it to be filled not only with exciting things, but also everything they feel. This Gemini personality trait enables them to easily voice out what is going on in their hearts and minds. Also, Geminis know that there is a tendency that not everyone will agree with what they are voicing out. They do not mind not being popular because of something that they express. They can go on with life not thinking about what this certain person thought about how they feel. Instead, you might even be in for a surprise. A Gemini man is very express in love and will show his feelings in a variety of ways. If you are planning a party and you want it to be the best one ever, invite a Gemini. Getting the party started, keeping it alive and successful through the night is the specialty of Geminis. They are naturals at keeping social gatherings as exciting as can be. They will make sure that everyone in it will be in a conversation that strikes their interest. Expect the Gemini to be able to keep such conversations interesting for hours and hours. You might even see a swarm of people around them. This Gemini personality trait makes them attract groups of people in a crowd and keep them busy, entertained, and even animated. There is no such thing as a dull moment in the company of a Gemini. Being observant is one of the Gemini personality traits. It enables them to adapt to whatever life throws at them. This trait also enables them to easily see the big picture and helps them decide if it is already time for them to walk away to avoid more trouble. Another good thing that their being observant does for Geminis is that it serves as a way for them to keep their conversations and occasional gossips as juicy as can be. To you, it might only seem that Geminis do not stop talking and moving. There is so much more to that though. While they are busy telling people stories, you can be sure that their eyes are scanning the room while at it, too. You would think that since Geminis are not affected by what other people think of their opinion, they will want to confront them if people express their disagreement. This is not the case – if the Gemini can help it. As much as possible, Geminis will try their best to walk away before things start to get ugly. They have far too many things to think of and focus on than facing such a conflict when it can be easily avoided. It is not in the Gemini personality trait to occupy their time with such things unless they are truly provoked. One of the best Gemini personality traits is being witty. This is what makes the Geminis very entertaining to be with. They know exactly what to say and when to say it in order to get people agree or even laugh. Do not be surprised to see a Gemini poring over a book or researching their way through the internet simply because they wanted to learn something. It is a natural trait for them, get used to it. Their quick wit does not only do wonders for a party, it also helps them a great deal with their lives. 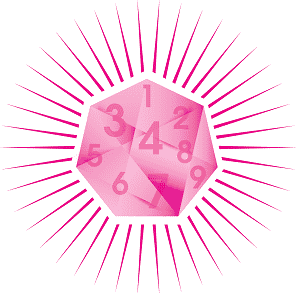 Their wits help them make the most important decisions they need and hold on to it with very strong convictions. Often, this Gemini personality trait will be classified as negative. Many would consider being an opportunist as something bad right off the bat. However, for a Gemini, being an opportunist is a nature, because they live for the moment. If you see a Gemini seemingly acting as they never did before, this is because they base everything on circumstances rather than principles. This lets them adapt easily and also, be watchful for any opportunity that comes their way. Of course, they grab it as soon as possible, or everything about their plans and their lives messes up again. This would mean so much for a Gemini because missing a very important opportunity means having to wait again. You do know just how much waiting can ruin someone’s morale. Though Geminis never run out of enthusiasm, their morale goes low too. Instead of having to deal with such trouble, Geminis see to it that they get the opportunities available to them right away. If being able to stock up on opportunity is possible, Geminis will do it. Only when they have an opportunity in hand will they build plans around it, making their goals realistic and solid hard. As for the negative side of being an opportunist, of course, it happens and Geminis do it. If a Gemini finds it necessary to make certain adjustments, then they will do it without thinking twice. It may come off to other signs as a Gemini personality trait that is truly offending. However, what you have to understand is that Geminis see being an opportunist in a different light. For them, it is not something that they want to do. It is something that needs to be done especially when the situation or the timing calls for it. Being shallow or superficial is one of the often observed Gemini personality traits. Geminis make the amazing company, however, those who cannot tolerate superficiality might not be able to enjoy a Gemini’s company as much. You see, Geminis give value to what other signs would call shallow. This is because of the Gemini personality trait that focuses on hanging out and simply having fun. They will want to keep improving the way they look, notice and talk about the smallest changes that happen around them, and might even feel a little too emotional with those small changes too. Those who enjoy the company of Geminis, find this trait helpful as it keeps things exciting and random. Geminis can sometimes be unreliable not because they intend to, but because at times they have difficulty curbing off their impulses. This is especially true with money, food, and anything that makes a Gemini happy, even for a fleeting moment. The good thing about it is that they know for themselves how this Gemini personality trait impedes them. Some are witty enough to find a way to trick themselves into not giving in to their impulses. However, of course, not every Gemini can do this, so a little guidance from a concerned loved one would be greatly appreciated at times. Geminis have this ability to persuade people into their opinions because they know how to say what they think needs to be said. So, if you find yourself in a group that does not exactly agree with a Gemini, do not be surprised if a couple of them suddenly changes their mind. They can make you agree with them or easily do what they want you to do. That’s the Gemini displaying their ability to use words as power. One of the Gemini personality traits that make that other signs peeve is their being nosy. Do not get it wrong, though. Geminis do not do this out of intention. This is more of an effect of the Gemini being observant about the people surrounding them and their environment in general. Once a Gemini’s interest for shallow things kicks in because of their constant observation, accidental nosiness happens next. So, you might find yourself in a conversation where the Gemini might start prying for details. If you do not like it, let the Gemini know and they will not bother you with it again – not intentionally, anyway. Many Gemini personality traits often happen not because of intention but as an effect of one or two main traits. Being devious, however, is not one of them. If you see a Gemini doing everything they can just to get what they want, what you have to understand is that they know what they are doing. It is not uncommon to find a Gemini exercising such strategies in their lives. If it helps them achieve their goals, why not, right? Sometimes, a Gemini also knows that such strategies can hurt other people. What they do not understand is just how much it can hurt. Often, Geminis are drunk with their desire to finish their goals or adapt to whatever life is throwing at them, that they resort to any means to get their hands on it. So, if you are a Gemini loved one and hurt from such strategies, let the Gemini know. Let them understand what is happening because they will be more than willing to talk to you about it. Chances are, the next time they try to do such a stunt, they will avoid hurting the people who matter most. If you have an issue with a Gemini and it goes deeper than usual, do not be surprised to find that the Gemini is not doing anything about it. Sometimes, it can be their pride or shallowness that stands in the way, but often, it is their indecision. Geminis simply get indecisive in the face of such challenges because of the many things they see in the situation. Remember, they see things in a bigger picture perspective. Unlike the other signs who amazingly knows the things to consider, the Gemini is taking its sweet time trying to find out what must be considered. They do not have the ability to view things in a smaller picture perspective that other signs have, which eventually helps them know what they want to stand up for. To a Gemini, an issue is one big tangle of a mess. If they are taking the time to fix things up with you, be a little considerate. Of course, there is always a mix of pride to get past though, but remind yourself that Geminis are facing more of a challenge than simply getting past their pride. For them, fixing an issue or facing a challenge means having to go around their whole lives trying to find the loose ends of the tangle. The problem does not even end there. Some of them even have to follow that loose end and see where it leads them, only to find themselves stuck, yet again. Give them some time. Let the Gemini unravel it on their own or if you know someone who can help them, let them help. Of all the Gemini personality traits, this one is taken for granted and often leads to misunderstanding Geminis. 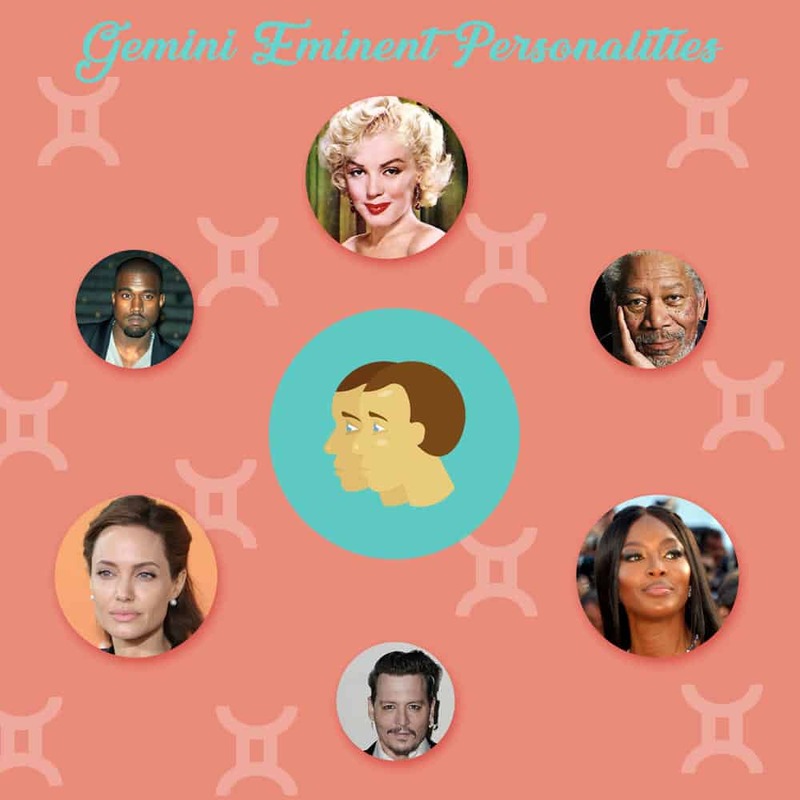 We hope you enjoyed this guide on Gemini Eminent Personalities and the positive and negative personality traits. Let us know if these traits mirror the Gemini in your life. The sign of Gemini is influenced by the air sign. And, as to be expected of those signs governed by the air, Geminis are intellectual people as well. In this article we have listed the Gemini eminent personalities and the positive and negative Gemini personality traits.